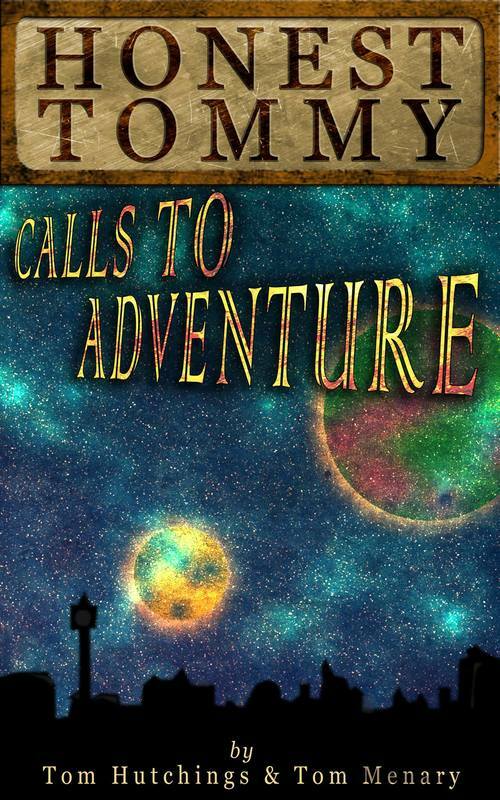 Jump head-first into adventure with these tales of wonder and astonishment from Honest Tommy. Join Captain Dashworth as he endeavours to prove himself the great hero of his best-selling Penny Amazings on an escapade in London Town; follow Commander Gwen's harrowing trial aboard a doomed freighter in the black depths of space; marvel at the mad Professor Runcible as she concocts something even more bizarre and arousing than usual; quiver at the approach of a deadly killer robot as Princess Victoria faces a gunpowder plot deep beneath Westminster; and feast your eyes on an excerpt from Ensign Benson's diary as a lowly tea boy on that pestilent battlefield, Vorgak 3! Each of these original tales, written by Ted Hutchings and Tom Menary, feature characters appearing in Honest Tommy: The Radio Adventures, and are collected here for the first time. Honest Tommy: Calls to Adventure was released on 31st August 2017, and is available to purchase for Amazon Kindle. "The Sensational Captain Dashworth" — excerpt from "Captain Thundergroin"
"Trouble with Black Holes" — excerpt from "Scraping the Void"